In contrast to widespread belief, driving distances in golf have not materially changed over the last 10 years. Additionally and also not in line with what many people tend to believe, there is not much of a difference between the European and US PGA tour as far as driving distance is concerned. Last but not least the number of players hitting it on average over the 300 yards has actually declined since 2006! Average driving distances have not materially changed over the last 10 years. Too often complaints can be heard on the enormous distances that golf professionals drive their golf balls off the tee. This would make their second shot easier and hence make the game less attractive. As a result some courses have lengthened some of their holes. But is it really true? Are the professionals hitting balls any further? We have analyzed the progression in driving distances over the last 10 years and the conclusion is that average distances have not materially changed. In fact since their peak, they have slightly come down. So in contrast to the nineties, which were characterized by a sharp increase in driving distance, this has not been the case so far in the new millennium. The table below shows the progression in driving distances on the European and PGA tour. It is noticeable that since the peak in 2006, average driving distances have even marginally come down. No big difference in yardage between Europe and the US. From the table it also becomes clear that distances in Europe and the US are not that different. For some reason there is the misconception that Americans are hitting it further. The table tells the story; the differences between the official European Tour and the US PGA are actually negligible. How about the number of golfers hitting balls further than 300 yards on a structural basis? Since 2004 there have been on average a higher number of Americans surpassing this mark. However the European have made up the gap over the last few years. For both it is noticeable that the number of longhitters has come down since 2005. Lets end with some fun! Who are the notorious long- and shorthitters on the different tours? To begin with the difference in distance between the longest and shortest hitter can be substantial and has averaged around the 50 yards during the last 10 years and that is substantial; the difference between a wedge and a mid-iron. So who wins the category of the shortest hitter on tour? In the US the award goes to Corey Pavin, who dominated this category for many years in a row. His role now seems to be taken over by Brian Gay. Pavin did not hit the ball much further than 260 yards or around 234 meters, so there is hope for all of you out there! In Europe it is the Frenchman Christian Cevear showing remarkable consistency in ending at the bottom as far as yardage is concerned. Well then, the big hitters! They are the ones getting all the publicity and it should be of no surprise that Alvaro Quiros is the man as of lately. Before his reign it was Angel Cabrera together with less familiar names such as Emanuele Canonica and Titch Moore who dominated the rankings. The latter is record holder; he managed to hit 316.7 yards on average in 2005. In the US the Daly era is long gone. The household names here are JB Holmes, Robert Garrigus, Bubba Watson and Dustin Johnson but surprisingly enough none of them holds the record! That is held by Hank Kuehne, who managed to hit an average of 321.4 yards in 2003. When glancing through the list of European’s best ranked playing golf professionals, one always has the impression it mainly contains golfers from the UK, Sweden, Spain and a few lost Frenchmen and Danes. Intuitively the explanation is likely to be found in the number of golf courses and the number of active players in these countries. The UK has by far the largest number of both and hence it should not surprise they are at the top of the list in both categories. However, it would be nice to see which country would rank first in terms of number of playing professionals vis a vis the country’s golfing population and number of courses. Would the UK still rank first? The following table (sources: EGA, KPMG, World PGA Rankings) summarizes this relationship and the surprising conclusion is that Italy ranks first! Italy; low participation rate, empty courses but relatively a lot of playing professionals. Italy is counting several very talented professionals such as the Molinari brothers and young gun Manassero. This is particularly surprising given that there are not that many courses and that the participation rate (% golfers vs total population) is extremely low vs the remainder of Europe. Moreover intuitively you would expect the temperament of the Italians vs for example the Swedes would work against them. Hence there must be other reasons why the Italians are doing so well such as possibly a very efficient teaching/talent system and the fact that they have plenty of room to practice. UK and Ireland; high participation rate and low player density per course but still relatively many ranked playing professionals. It is not surprising that the UK is delivering the most ranked playing professionals in absolute terms. In fact it should given the enormous number of available golf courses and high number of players. However the UK is also doing well in relative terms. As can be seen in the table only Italy delivers more playing professionals as a % of the total golf-players pool. Hence the UK also manages to breed very good players. In fact this should be no surprise given that the country has a big golf heritage and hence has an enormous experience as far as education is concerned. Sweden and Germany have low number of ranked playing professionals vs number of total players. Both Sweden and Germany have over half a million golf players. Nevertheless, both countries do not manage to deliver many playing pros. Whereas Sweden has the highest participation rate (5,7%) in Europe, Germany scores very low (0,7%) in relative numbers. Clearly there is a big talent pool of good Swedish players on the tour. However given the total number of players, this is still a relative low number. As the Swedes have a very good teaching/talent system, one of the explanations could be that they cannot play the year around as a result of the weather. As far as Germany is concerned, this country should be considered as a sleeping giant. Not only is there plenty of room to attract more people to the golf sport, the country should also be able to convert a higher proportion of players into playing professionals. Reasons why this has not been the case yet could be the lack of tradition, the average age of the German golfer and the teaching/talent system. Coming Friday the Ryder Cup 2010 will finally start. Europe is seen by many (including the bookies) as the clear favorite. But are they really? We have done some fun and games and analyzed the numbers; although Europe indeed scores better in many fields, the margin with the US is considerably smaller than one would expect upfront. Europe is the favorite, but is this realistic? It’s only a few days away, the Ryder Cup 2010! The golfing world is slowly getting itself ready for the biggest bi-annual event in golf. Millions will be glued to their television sets to watch golf’s greatest stars fighting each other at the Celtic Manor resort in Wales. As usual, all golfing enthusiasts seem to have an opinion on whom is going to win, which adds to the fun. Most people seem to favor Europe including the bookies, where the odds of Europe winning are 33/50 vs the USA 177/100. This is a relative big margin and I have to admit I am with Europe as well. However, is this assumption realistic, is it backed by the facts? Of course results realized in the past are by no means always a guarantee for the future, but sometimes numbers can reveal interesting facts. We have gathered and analyzed some statistics of both teams to see whether any conclusions can be drawn. We will briefly discuss. Europeans seem to have the better momentum. Looking at the points realized in the majors of the last year, the Europeans win from the Americans, but this can mainly be explained by the fact that 2 out of the 4 majors were won by Europeans (McDowell, Kaymer) and only one by the Americans (Mickelson). However, when we look at the median results during the majors (so stripping out the best and worst results) we witness that the Americans have done better (28.11 vs 14.59), so their depth has been pretty good. We also looked at how many points were added to the world ranking list by both teams during 2010. Again Europe has added more points than the Americans during the season and here the median is pretty even. Conclusion 2: the Europeans have enjoyed better momentum during 2010, but stripping out the highs and lows, the Americans are right up there. A marginal win for Europe……. So the overall conclusion is that Europe is indeed the favorite, but only by a whisker as far as I am concerned. Although the Europeans seem to have performed better during the season (they added more points to their world ranking in 2010, they did better at the majors), the player statistics of both teams are very similar. Moreover, the Americans still are carrying more points on the world ranking and seem to be slightly more experienced (they have played more matches in the Ryder Cup and are marginally older). Having said all of this, the Ryder Cup remains the Ryder Cup and hence predictions are worthless. There are so many other variables such as the course (which seems to be made for the Americas) and the weather (could be more in Europe’s favor) which could play an important role. So let’s just enjoy it! What can we say? The announced new Americas Cup class is a fact. We are going multihull! The newly announced rules will take the Americas Cup into a new era. The event is finally turning a much required corner which it should have taken some years ago. Not only should the new format be more exciting to both sailors and audience, it also should lead to a better level playing field and make it easier for competitors to access. With some of the biggest changes in Americas Cup history, the organizers have taken a bold step forward. It is now up to the sailors to prove them right! In presenting a new format for one of the world´s oldest and most famous events, the Americas Cup, Russell Coutts and friends are taking the Cup to the next level. The introduced changes are not only introducing a new boat class for the best sailors in the world, they also should create increased fairness, excitement and sustainability, values which are essential in going forward. We will briefly discuss the introduced changes and their effects. New spectacular boat class and new annual world series should bring back the fun again! Reflecting on the 33rd Americas Cup a few thoughts come to mind. Firstly and for all, “let’s not have that one again!” As a result of all the legal disputes the Americas Cup lost credibility and appeal and hence was facing a big danger. Having said so, everybody interested in sailing was in awe when seeing the gigantic and enormously expensive multihulls in battle with each other. A third reflection was that everybody regretted the fact that there were no world series (like in the 32nd AC) in the build-up to “Let’s create a class and world series that are fair and spectacular” and this is exactly what they did. 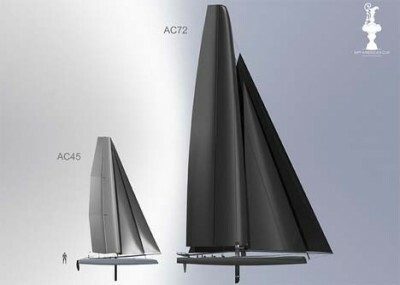 Let’s first look at the boat class: a new exciting class of boat is introduced, the AC72 wingsail catamaran, which will be raced from 2012. Simultaneously a scaled down version, the AC45 will also be build, which will be raced from next year onwards and will provide a fast-track for competitors in wingsail technology. The AC72 will be spectacular; with a length of 72 foot, width of 46 feet and with a wingsail of 130 feet high this beast should reach speeds in excess of 30 knots, making it the fastest boat class in the world. As these boats will not be easy to sail this also means that only the best (most fit, strong agile and multitasking) sailors in the world will be able to sail these boats…..and….no automated winches. Hence this should guarantee that the AC will once again be the pinnacle of sailing; the fastest cutting edge technology boats with the best sailors on it! Let’s now turn to the world series which will be organized into the run up towards the Americas Cup and which will be mandatory. They will start in 2011 on AC45’s and will be a combination of fleet and match racing, whilst each year an Americas Cup World Champion will be crowned. This should bring back the buzz we witnessed during former America’s Cup events and as importantly improve the connection with fans. New rules create improved fairness and improved level playing field. We all know what happened during the last Americas Cup. The defender of the cup did define the rules and sadly this resulted in disputes and an uneven level playing field, which severely hurt the credibility of the event. This will not happen again. The future Regatta Director will be part of an independent organization (thank god, no more disputes) and will be appointed jointly by the Challenger and Defender. Hence the Defender has forfeited some of the rights traditionally enjoyed by the holder of the trophy in the interest of making the competition more balanced and fair. Additionally majority approval of the competitors is required to amend the Protocol. Adding an independent jury and a well defined protocol of the 34th Americas Cup with few loopholes at first glance (however undoubtedly a few will pop up) and we have a much better base to start off from. New format guarantees excitement. No doubt the new format should be fun. Races will be shorter, faster and furious, which should be fun to watch. But it is not only the boats and future world series that will create excitement, there are lots of other elements that will be introduced to make the event more attractive. Firstly race delays will be minimized due to the new boat (which can sail with low wind speeds) and reliable venues. Secondly for the first time onboard cameramen will be onboard of the competing yachts whilst tracking technology will also play an important role, both should add to the fun and experience. Thirdly it will be investigated how to better explain all the rules to a broader audience. Moreover geostationary spectator boats may replace the traditional buoys. Fourthly, the experience will be leveraged through the internet (one global website for all team and racing content, games etc). These elements should attract a younger crowd and create excitement. Russel Coutts phrased it right: let’s say farewell to the Flinstone generation and welcome the facebook generation, which also explains the move to multihull. He is right. It is clear! We are finally moving from the 20th to the 21st century and are reconnecting…….The youth forms the future and if no changes are being made, the Americas Cup will face the end rather sooner than later. This is also why a new youth Americas Cup will be introduced. It also means that the “older generation” should adjust and be willing to sacrifice; no matter what, they should not fear, they will be around for some time as some of them are still amongst the best sailors of the world and I am sure in the end they all will enjoy it as much as anybody else. As far as I am concerned that should finish the monohull-multihull dispute! Lower costs, better returns means improved sustainability! The last Americas Cup has been far too expensive as far as costs are concerned. If this would go on, this cost spiral would severely limit the interest in participating and hence reduce the attraction of the race. Hence the organization has taken measures to reduce cost levels. For example on-board crew is being reduced from 17 to 11 (remember personnel cost account for 60% of a campaign), testing periods are being reduced, there will be limits as far as the number of sails, support boats and weather stations is concerned, etc, etc. Moreover the choice for multihull rather than monohull also turns out 20% cheaper (lower draft, logistic costs etc). All in all the costs for teams will range from EUR 40mln for a small team with a reasonable competitive profile to EUR 100mln for a big team. That makes this thing cheaper than some of the campaigns of the 32nd Americas Cup. All of this should raise the appetite of current and prospective teams. There are already some teams that want to buy the AC45 and a number of 8 challengers should not be out of reach, whilst rumors have it that at least one other American team will challenge the Defender BMW Oracle. Can’t wait for it! So what about the returns? No doubt the last Americas Cup did not bring sponsors what they had hoped for. In contrast the legal battle between the teams resulted in some negative publicity. This time they should get a better deal for their money; branding freedom, more competitors, increased high adrenaline competition, a world series of races rather than a 3 day event, on board cameras, better spectator possibilities, reconnection to the younger generation and lower costs. The math is simple; lower cost and better exposure means higher returns. Adding the bigger fan-base this should not only be good for sponsors, it should also help the long term future and sustainability of the Americas Cup! Lets sail! This week the Dutch National Olympic Committee will present a focus list of 10 sports that could help the Netherlands in realizing its ambition to structurally end in the top 10 of the Olympics medal table. This is one of the requirements for hosting the Olympic Games. Our analysis shows the 10 sports which will make the focus list and which hence may receive extra funding are likely to be the following ones: skating, aquatics, athletics, rowing, judo, field hockey, cycling, sailing, equestrian and gymnastics. On 30 august the Dutch National Olympic Committee (NOC NSF) will present its “study top 10”. This study should give insight in the present top sports climate in The Netherlands and its future ambitions. In order to fulfill its objective to host the Olympics in 2028, one of the ambitions of the NOC NSF is to structurally end in the medals top 10 of Olympic Games. The top 10 should be seen in this perspective; it consists of those sports that have a decent chance to realize this ambition. Clearly these sports should qualify for extra financial support. The Netherlands has only once been in the Olympics medal top 10 table. Let’s first briefly examine how The Netherlands has performed during the Olympics in the last 7 editions and simultaneously how many gold medals were required to end up in the medal top 10. The Netherlands has only once been able to end in the top 10; this was during the tremendously successful Sydney 2000 Games. In order to structurally end up in the medals top 10 The Netherlands needs more gold medals. Choices have to be made. Not surprisingly more money is required to stand a chance to realize this ambition. Besides a better sports infrastructure, better facilitation and better support of top athletes, it is clear that choices have to be made as far as sports are concerned. One would invest in those sports where chances of gold medals are the best. The 80/20 rule also applies to sports and it is no different from your average company, where just a few clients (20%) make up 80% of the turnover. As we will see, it ain’t that different in sports; a few sports are accounting for the vast majority of medals. It doesn’t require rocket science to determine which sports these are. We have used 3 criteria to pinpoint where The Netherlands would have a decent chance to gain gold medals. How many gold medals per sports discipline are at stake during the Olympics? Clearly this makes a difference; are we going to invest in athletics, where 47 medals are to be gained or say in triathlon with only 2 gold medals to be divided. In which sports do we have a historic tradition as far as medals are concerned? In several Olympic sports, we have barely won any medals at all. For example The Netherlands does not have a tradition in wrestling, where it has never gained any medals (also reflected in the number of members at the wrestling union). It should therefore be questionable whether such tradition can be reversed quickly, particularly given the available resources of such sports. In the table below we have listed the different Olympic sports in accordance with the criteria mentioned above. 5 out of 26 different sports account for 50% of the medals. There are 302 gold medals to be handed out at the next Olympics in London split over 26 different sports and even more disciplines. Important to realize is that 5 of these sports account for approximately 50% of all the medals, coincidentally wrestling being one of these sports. The 10 sports with the least gold medals to be gained account for only 10% of all the medals. Hence, this explains why focusing is important. Looking at the total members per union, it is clear where the Netherlands has the biggest resources as far as talent, trainers and tradition is concerned and not surprisingly this is also reflected in the column detailing the total number of medals that historically have been gained in a certain sport. The top 10 focus list. Taking these criteria as a yardstick it is not difficult to arrive at a focus list (or a study top 10 as NOC NSF is defining it). Apart from skating (we have not analyzed the Winter Olympics for obvious reasons – the vast majority of Dutch gold medals are gained in skating -), we would arrive at the following sports: athletics, aquatics, cycling, judo, rowing, sailing, equestrian and field hockey. It means there is one sports left. As football and tennis are played on a full-time professional level and not primarily dependent on NOC NSF, we would not expect these sports to be on the list. Given both the number of medals at stake and the number of people participating in the sports, we believe gymnastics would be a prime candidate to end the list. Vitesse: don’t celebrate just yet! Recently Vitesse became the first Dutch football club to be acquired by a foreign investor. 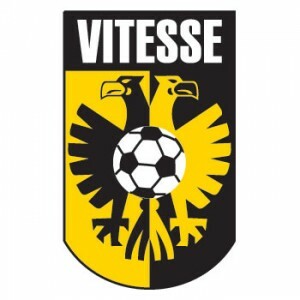 With this take-over Vitesse appears to be saved from bankruptcy as the club has been in financial difficulties for several seasons. Opportunism is the name of the game, as both supporters and new club owner expect to become national champions within 3 years. This may be a bit overly optimistic and lacking any realism. Clearly Vitesse’s financial situation is to improve but this will not mean the club now can spend zillions of money on buying new players. It’s precisely this what UEFA’s financial fair play plan is designed for; to stop reckless spending by clubs and to stop rich benefactors (or sugar daddies) from injecting large amounts of cash. For the non financial wizards amongst us, this may all sound like akakadbra, so let’s simplify it! Under the new circumstances Vitesse cannot invest without any limits in new expensive players. What it can do is investing in the future of the club! In fact the new rules may be regarded as a blessing as they should guarantee the sustainability of the club! So every reason to cheer! With the help of the new investor Vitesse is here to stay and with a solid long term policy (see FC Twente) it might even become champion sometime in the future. However this is unlikely to take place in the near future as revenues are not sufficient as of yet to allow the investment in expensive players. There is every reason to be happy but it should pay tribute to management if it would be a bit more cautious in managing expectations as far as the championship is concerned! Who will win the bid for the 2018 World Cup? All candidates for the 2018 World Championships Football have handed over their bid books to the FIFA. Which will be the country that the championships will be awarded to? We have to wait until December 2 but will briefly compare the 6 major candidates and their bids as well as their chances to succeed. The UK and Russia seem to be favored by the bookies, but could they be wrong? Bid books for 2018 have been handed over. Delegations from each of the candidate nations have handed over their bid books for both 2018 and 2022 to FIFA. For 2018 the candidates are the UK, Russia, Spain/Portugal, Holland/Belgium, Australia and the USA. 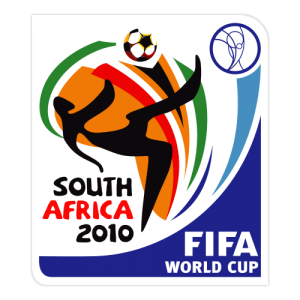 The final decision on to whom the World Cup 2018 will be awarded to will be taken on 2nd December 2010 by the 24 members of the FIFA Executive Committee. As history has proven, the best bid will not necessarily always win, as lobbying and politics play an important role in the process. In spite of this, each bidding country still has to demonstrate that: 1. It complies with the bidding process; 2. The anticipated impact on the game and society as a whole; 3. The support from the government, general public and football community; 4. The Infrastructure and management capabilities to host the tournament; 5. An innovative and meaningful legacy programme for after the event. Bid likely to be awarded to Europe. On several occasions FIFA strongly hinted that Europe will be given the 2018 finals, with England and Russia competing against joint bids from Netherlands-Belgium and Spain-Portugal. All four are also in the 2022 race but will be barred if one of them gets the 2018 tournament. If indeed Europe will end up with hosting the World Cup 2018 this would effectively rule out the bids of the US and Australia, who in that case would have to put their focus on 2022. 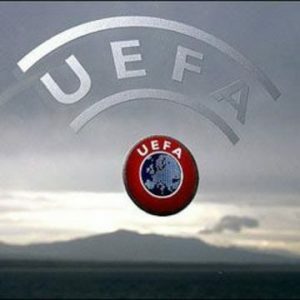 Europe seems to be the preferred choice as the powerful UEFA (which has a large number of votes) wants to see the tournament on the continent again, after South Africa in 2010 and Brazil in 2014. Moreover FIFA also seems to opt for a financially interesting tournament; TV income, ticketing and commercial deals in Europe no doubt would be strong. Although FIFA has stated in the past they would rather not see joint candidacy bids, FIFA’s Blatter specifically stated that this is no longer the case and that these bids will be treated the same as single candidacy bids. Politics and lobbying will be key determinants and that makes the outcome so unpredictable. Clearly the content of a bid is important, but politics and the lobby process in the end will be the key. The exact voting procedures to be adopted are still unknown. However, they will involve a majority decision. It means that in order to win, a bid has to have the vote of at least 13 members of the FIFA Executive Committee, which contains 24 members in total. This also means that each member needs to have a second and third choice ready in case their first choice does not make it passed the first vote. As said the exact procedure is not known yet; are the two World Cups being voted in sequence or are they for example being undertaken simultaneously. Those elements can be crucial for the lobbying process. In any case Michel Platini and his UEFA mates have 8 votes (more than any other blocs) out of 24 and no doubt he will encourage his allies to work together for Europe, particularly for round 2 and 3 of the voting process. As said politics will play a vital role. Different blocs will no doubt attempt to make deals in exchange for votes. Who will vote for whom? Will South America go for the Spain/Portugal bid, where will the Africa votes end up (in Russia maybe?) with? The political massaging and powerplay have already begun; England played Trinidad and Tobago in a friendly match in the hope that the CONCACAF president- a native of T&T- would support England’s 2018 World Cup bid. The Netherlands has already been in South Korea (also a member of the Execucutive Committee) with, no surprise, Korea’s much adored Guus Hiddink in the delegation. Coincidentally the proportion of friendly matches in countries with Executive Committee members has gone up over the last year etc etc. In any case without a good lobby a country bid won’t stand a chance! Countries should concentrate on both the first, second and third choices of executive committee members. Strategy required! The current bids explained! Clearly all bids are in line with the requirements. It means that all of the candidates have 11 to 12 stadiums capable of housing 40,000 people and one capable of housing 80,000, it means all of them have a legacy, organisational capabilities and government support. Nevertheless all of the bids vary in originality, viability etc. Each of the bids has advantages and disadvantages. We will briefly stand still with each and every bid. Theme: Come play! Australia is emphasising its experience, stability and certainty along with its great hospitality, many volunteers and friendliness. As known the country has a proven track record and has the backing of some famous names. There is no doubt that Australia can organize a great World Cup, but the odds for 2018 seem to be against. Firstly it would mean that for the 3rd time in a row the World Cup would be organised in the Southern Hemisphere, which seems to be a big disadvantage. Secondly there is some opposition from other sports leagues in Australia over stadium usage and scheduling. 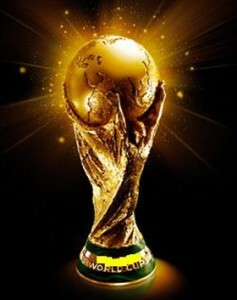 Thirdly and most importantly, it seems that the World Cup will take place in Europe. Hence we would not be surprised if Australia withdraws from the 2018 bid to concentrate entirely on 2022. Theme: The game is in US! The USA plays the infrastructure card in its bid. The infrastructure is already existent, featuring some of the biggest stadiums in the world and offering large flexibility. The country focuses on the success of the FIFA World Cup 1994, which resulted in strong growth of the sports and now wants to extend that legacy for another 25 years. Additionally the organisation has the support of President Obama. The US would clearly be a safe play; the best infrastructure and scale should be a guarantee for record attendances similar to 1994. That would clearly result in windfall profits for FIFA. Nevertheless chances seem to be second to none as far as the 2018 bid is concerned. Yes, Mexico has announced it will support the bid and possibly some other countries in the region might do this as well, but this will be far from sufficient to convince the other members. As stated, it is very likely that a European candidate will be chosen, whilst an additional disadvantage can be found in the fact that it is not that long ago that the US hosted the World Cup. Again and similar to Australia we would not be surprised when the US would withdraw in order to fully focus on 2022. Theme: Together for great goals! The Netherlands is generally seen as an outsider but they have a great package to offer, which goes beyond the tournament itself. This bid is clearly focusing on social responsibility, emphasising green, environmentally friendly and social themes. A few examples; it will offer a Sustainable Stadium Toolkit to the rest of the world, it will support the development of world coaches in developing nations (Train the trainer) and it aims to organise the most sustainable World Cup ever (giving 2 million bicycles away to fans during the cup). Adding to this, stars such as Ruud Gullit and Johan Cruyff, the countries organisational capabilities (EURO2000) and its famous orange army and we would argue that this is actually a quite charming bid. Will this be sufficient? Some argue that the size of the 2 countries may play a negative role, but one can also turn around this argument by stating that a big event such as the World Cup should not be monopolised by the big countries. Hosting the World Cup in a smaller country would be a good stimulus for many other countries to also organise big tournaments. Moreover, don’t forget that the majority of the FIFA Executive Committee contains members from, you guessed it, smaller countries….. The cons? Both countries have a lot to do on the expansion of their facilities, whilst they run the risk to be muscled out by their larger European rivals. Hence a lot needs to be done on the lobby and political front, but it is far too early to rule this bid out……..A role as outsider fits the lowlands well! Theme: England United, the World Invited! England is the clear favourite under the bookies but is this really justified? Obviously the bid is playing out the economic benefits, its heritage and tradition and the popularity of the Premier League. Undoubtedly the UK has a lot to offer. It would clearly bring the highest commercial revenues for FIFA, backed up by the international appeal of the Premier League. Additionally, the infrastructure is already largely in place with a couple of very impressive stadiums lined up. Clearly the UK has football in its DNA, whilst it has been a very long time (1966) ago that it has hosted a major tournament. The fact that the country can organize the World Cup needs no convincing, it has already everything. However, this is also where the danger is. Arrogance and complacency may be on the lure; any hints of England being the divine candidate could be potentially damaging. Additionally the recent Lord Triesman (FA boss and leader of the bid team) scandal might have hurt England’s World Cup ambition. This also reveals another potential danger; the British press being permanently on the look-out for scandals. Summarising the main danger for England is probably the motherland itself! Theme: Ready to inspire! Russia seems to be a very solid contender. The country clearly plays the “legacy” card and tries to position itself as a new hidden continent for football, being a bridge between Eastern Europe with an enormous untapped reservoir of potential new football players; in the last few years football has grown by 50% in Russia. It also believes this could be a catalyst for social change. Additionally the country has promised new stadiums in 13 cities, all of them of the highest qualifications. The fact that the country has never hosted the event before could work in their favour, as Rio has blatantly proven. Finally Russia has deep pockets and a strong team with its key asset, Andreas Herren, who joined after holding the top PR role for years at Fifa, where he is well connected. Nevertheless there are some cons as well. Security is a main concern as are the distances between venues and the touristic infrastructure. With most of the stadiums still to be buid and the difficulties faced by South Africa and Brazil freshly in their minds, FIFA officials may be wary, particularly given the fact that the construction of the Zenith St Petersburg stadium is already behind schedule. In any case Russia should be seen as a formidable contender, particularly given the World Cup’s legacy being far bigger in Russia than in any of the other countries. Theme: Two nations, one common goal! The Iberian bid aims to emphasize the unity between Spain and Portugal and their ability to organise safe, well organised and particularly a fun and entertaining World Cup event. The bid seems to lack a real legacy or theme and seems to be relatively introspective (for example no website in English etc). Nevertheless, the joint bid of Spain and Portugal is seen as a strong contender. The bid will probably get the support of the South American bloc Conmebol (good for 3 votes), whilst Spain and Portugal have a strong tourist infrastructure and two of the best stadiums (Bernabeu and Nou Camp) in the world, a desire for any tournament organizer. Both countries have good organising skills, having recently hosted some big tournaments. The latter could of course also be seen as a negative, whilst the country is also facing this other big negative: the state of the economy, which is not an easy one to pass by. Bookies still go for England, but race is far from over……I personally would be surprised when either the USA, Australia or Spain/Portugal would win the bid for 2018. The UK and Russia should be regarded as the big favourites, but I wouldn’t rule out the Holland/Belgium bid, which receives a lot of sympathy. We have to wait and see! If we have to believe the bookies it will be England, followed by Russia. Here are the odds of Betfair: England 2.54, Russia 3.5, Australia 5.5, Portugal/Spain 7.4, Netherlands/Belgium 12, USA 20. However we know, the bookies are not always right……. Giro in Holland: what a treat it was! The Giro has left Holland again and what a treat and spectacle it was! Loads of spectators, a party atmosphere, spectacular races in a scenic background and some happy racers and organizers. 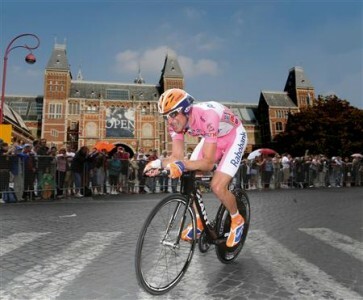 Although hosting the Giro has not come cheap and might possibly result in cost overruns, it has been pure promotion for the sports of cycling and for the country of the Netherlands. It shows again that Holland is perfectly able to host big events. One point of criticism: it would have been a great opportunity to leverage the sports to kids, a missed chance. Let’s hope this mistake will be corrected during the start of the Tour de France in Rotterdam later this year. Giro in cycling mad Holland. The Giro has left Holland again and over the next few weeks will take place again on traditional soil in Italy. But what a celebration it was. Similar to the Vuelta, the Giro also managed to attract hundreds of thousands of spectators, who all seemed to enjoy the sports to the fullest. Holland is a cycling mad nation, where everybody is brought up on a bicycle (in fact Amsterdam counts more bicycles than habitants). In this perspective it is not surprising that the country embraces the few opportunities it obtains to witness the icons of the sports during one of the most important races of the season. Not surprisingly the organisers were happy with the great reception and support, as were a lot of the riders, many of them not being used to the enormous crowds. Spectacular races in beautiful setting. The Netherlands coloured pink rather than orange during the first three days of the Giro, showing great hospitality. Watched by more than 150,000 people the race started with a time trial in Amsterdam on a pontoon in the middle of a pond in front of the Rijksmuseum and went on through a beautiful Dutch setting of Amsterdam canals and bridges to finish in front of the city’s Olympic stadium. The 2nd and 3rd stage were no different with beautiful pictures of the Dutch countryside including the famous Deltaworks, windmills and many waterways, again watched by hundreds of thousands people. Although plagued by many crashes (partly on the back of Holland’s “beloved” road furniture), the races were no way different than spectacular. Particularly the feared race to Middelburg brought everything you could wish for; side winds broke the peloton and resulted in huge time differences. Economic benefits might have been overrated…….It remains to be seen whether the organisations in Amsterdam, Utrecht and Middelburg have been profitable. The costs in Amsterdam and Utrecht amounted to EUR 5.5mln and EUR 2mln respectively and are unlikely to have been fully covered by sponsoring. Nevertheless Amsterdam and Utrecht claim that the direct and indirect generated revenues are a multiple of the organisation costs. Amsterdam claimed it would generate revenues of EUR 25mln. It doesn’t require rocket science to conclude that this amount is unlikely to have been realised. The EUR 25mln was based on 500,000 visitors, whilst in reality it is unlikely that the 300,000 number has been passed. Clearly some of these people have taken the train, have smoked, taken the train etc. Some of them might even have stayed for the night but it remains the question whether incremental spending has been that substantial. Firstly many of the visitors were from Amsterdam itself and just took advantage of the occasion, secondly what would these people have spend when they would not have visited the Giro? Additionally one can state that some companies might even have suffered as their stores were difficult to reach. In any case the biggest economic impact might actually have come from the racing teams, organisation and journalists who stayed in Amsterdam for 3 days. That might add up to some EUR 3mln, but is still far off the EUR 25mln. We have to wait and see the outcome, but should not forget the unquantifiable effects before coming up with a verdict. Social and promotional benefits substantial……The long term effects might be substantial. Firstly the Giro has been broadcasted in 160 countries, watched by many millions of people. As the Italian producers showed plenty of pretty pictures, Holland was shown at its best. Clearly this may result in future visitors of the country. In that perspective one can see the investment as advertising expenditure. As important are the social benefits. The Giro proved that big sports events are appealing to many, which is important for the country’s ambition to host the 2028 Olympic Games and should broaden the platform for support. Hosting the Giro also showed the country’s ability to organise and should help in attracting more events. Missed opportunity to leverage the sport. But benefits could have been even bigger. One of the pillars of the Olympic plan is the “Sports for All” ambition in which everybody should enjoy a life of sports. In this perspective particularly sports amongst children should be stimulated. The Giro would have been an excellent platform to leverage this ambition. Dressed in pink, loads of children witnessed the race. At least the Amsterdam organisation organized several side events on a local level, but I can imagine more could have been done, particularly on a national level. That is to blame the National Cycling Union (KNWU), they missed an opportunity to promote their sports to future members. Hopefully they correct their mistake when Rotterdam is hosting the Tour de France later this year! Ending on a positive note, watching the Giro is asking for more!